Mother's Day is approaching, and I wanted to redecorate my backyard for the celebration. As much as I would love to spend the day sleeping, I will be hosting brunch for my family. I spend almost all my time at home in my backyard. I do all my work on the patio, and eat many dinners outside. I love gardening, and grow a lot of our produce in my garden. Whenever I have some free time, I can always be found working in my vegetable garden. Since we spend a lot of time in our backyard, it is due for a little re-decorating. I went to Kmart to get some new items to spruce up our patio. The Kmart outdoor living department had a large selection, that I wanted to purchase everything they were selling for our garden. Kmart is having an upcoming sale in honor of Mother's Day from May 6-12th. There will be 20% off outdoor cushions, umbrellas, planters, fountains, and garden decor. 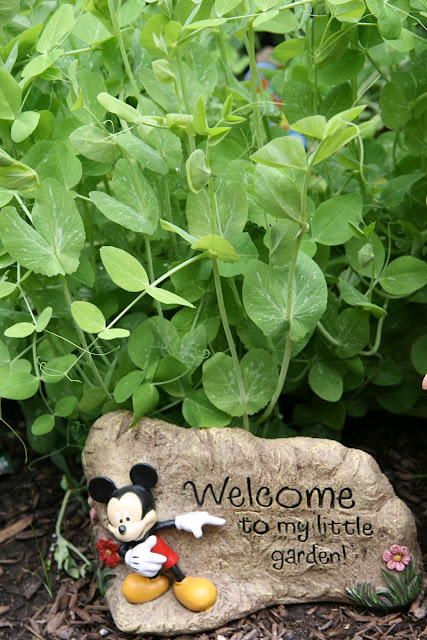 My kids have started their own vegetable gardens, and their gardens have taken off. Their hard work in the garden has been showing with how lush everything has become. Tyler picked out this garden statue to go right in front of his snap peas. Next we added a little ambiance with these LED lanterns. And some colorful throw pillows to go around the fire pit. That Tyler thought was perfect for cuddling up with a book. Since we love watching the birds fly around our yard while eating breakfast, we got this magical bird bath for them to frolic in. At first we were going to put it into the garden, but we felt that the plants were hiding it too much. So we moved it next to the bench. When we were done re-decorating, we enjoyed spending the afternoon in the backyard. Our patio is now going to look so beautiful for Mother's Day brunch. I fell in love with the decorative pillows that I am going to return to Kmart tomorrow to get more. Then we went into the garden to harvest some of our fresh lettuce to enjoy making a lovely salad for lunch. Enjoy viewing the pictures of the wide selection of outdoor Kmart products in my Google Plus Story. Keep up with the latest Kmart sales on Facebook or Twitter. I love the look of the accent pillows - they make such an impact. Plus tinkerbell looks right at home. Have fun at the party. Great makeover!!! 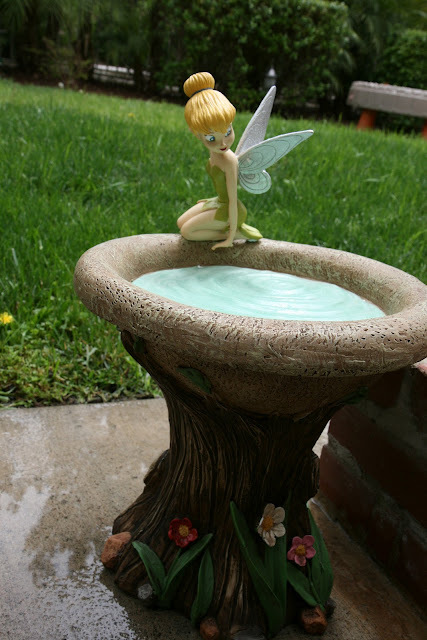 Love the Tink bird bath... so cute! Beautiful! I've never seen a fire pit like that! I love it!! Do you want to know why we are the best paving experts in the city of Cape Town? Well, you can do it easily by reading the testimonials on our website or consult our existing clients. Did you see the Solar Eclipse?